Success! Rebecca from Tanzania raised $1,035 to fund an amputation. Rebecca's treatment was fully funded on July 9, 2018. Rebecca’s surgery went well. 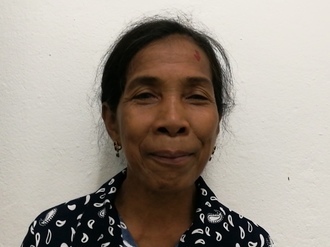 She will soon be able to walk with a prosthesis, and she will be able to return to her bakery business. Rebecca is a baker and a singer mother of one child. She has two siblings. Rebecca was a healthy woman until three years ago, when she developed chronic ulcer secondary peripheral vascular disease on her right leg. She underwent an amputation, lost her job, and was left struggling to provide for her teenage son and to feed her family. Rebecca eventually managed to start a small bakery business at home. Unfortunately, she recently developed the same condition on her left leg. She can no longer work and needs treatment. Rebecca is scheduled to undergo a left leg amputation on May 15. Now, she needs help raising $1,035 to fund this procedure. Rebecca's case was submitted by Joan Kadagaya at African Mission Healthcare Foundation in Tanzania. Rebecca was submitted by Joan Kadagaya, Curative Medical Support Program-Partner Representative at African Mission Healthcare Foundation, our medical partner in Tanzania. Rebecca's profile was published to start raising funds. 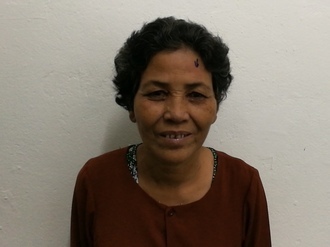 Rebecca received treatment at Arusha Lutheran Medical Centre (ALMC). Medical partners often provide care to patients accepted by Watsi before those patients are fully funded, operating under the guarantee that the cost of care will be paid for by donors. Rebecca's treatment was successful. Read the update. Rebecca's treatment was fully funded.